Who or What are The Black Eyed Kids? What would you do if strangers appeared at your door and said this to you? Unnerving enough, but what if those strangers were children with totally black eyes and a strange air of dread about them? 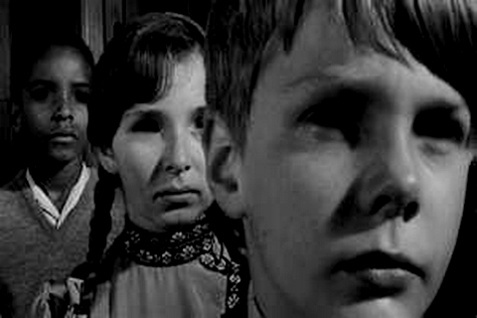 The Black Eyed Kids phenomenon is happening all around the world, with incidents of these weird encounters with groups of small children (averaging 8-10 years of age) appearing at doorsteps, cars, or even out in the open, asking for help, only to vanish moments later. The most unsettling thing about these kids are their eyes – totally black, covering the iris and sclera, soulless and unblinking. But what exactly do these children want? 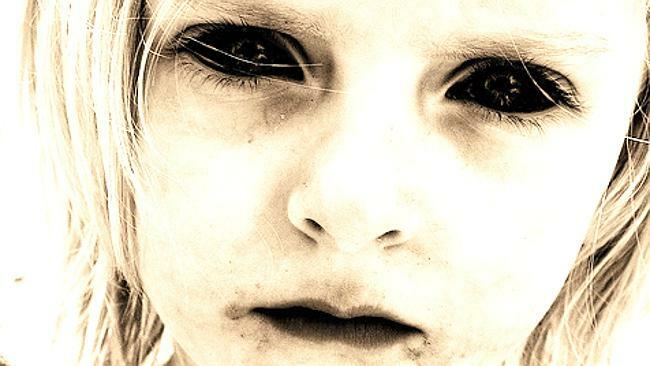 Paranormal researcher David Weatherly reports many such encounters in his book, Black Eyed Children. One such incident occurred in Dallas, Texas, where a gentleman came home, placed his hand on the door handle and suddenly a child appeared out of nowhere by the steps. Startled, the man looked at the boy, noting the child’s pale skin and solid black eyes. ‘Is it food time?’ the boy asked. The man was stunned. The boy repeated his question, ‘Is it food time?’. Glancing inside, he saw that his three-year-old Pitbull was charging at the front door. This was the most fearsome of guard animals, having bit rattlesnakes in half on many an occasion. Upon seeing the black eyed child, the dog skidded to a stop. Wining, tail between its legs, the Pitbull shot under the bed and stayed there for days, refusing to come out. The man slipped inside and locked the door. The child peered through the glass of the door and continued tapping. Eventually, the child vanished. 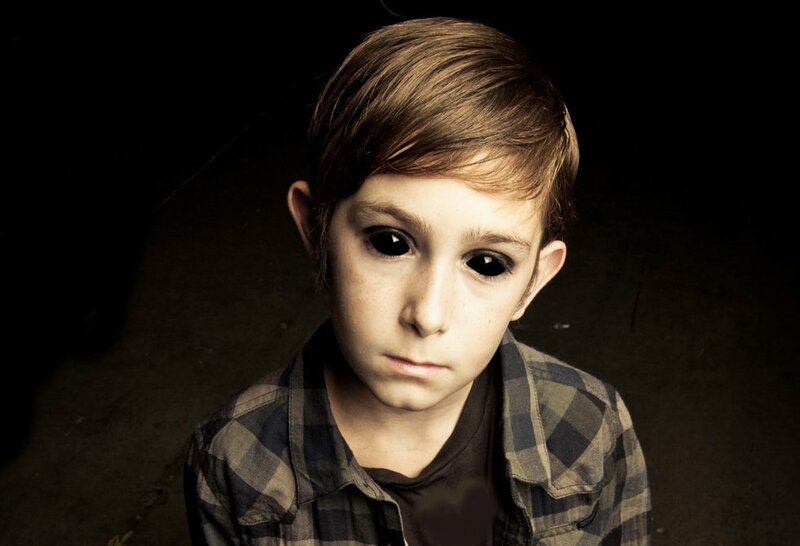 Reports of encounters with Black-Eyed Kids have been coming in to paranormal researchers since the late 1990s, and are on the increase. A typical encounter begins with a continual knocking at a resident’s door. The home owner opens the door to see a trio of young children standing on the doorstep who are not in anyway known in the neighborhood and who are dressed in nondescript clothing – like what Amish kids might wear. Other times they wear modern clothes like jeans and hoodies, though drab brown or gray, as if trying not to be noticed. The clothes may be ill-fitting, as though they don’t quite know how to dress. There are no signs of phones, iPods, or other gadgets. The skin of the children is pasty, almost artificial looking. The eyes are totally black. Body movements are very minimal, and have been described as ‘awkward’ or ‘stiff’. These encounters usually happen in the evening, just when the sun is going down. One thing most encounters have in common is that these children want to be allowed inside or want you to follow them. But what does it all mean? Researchers such as David Weatherly and Dave Schrader agree that there does seem to be a sinister agenda. Although very few reports have trickled where people have let these strange kids inside, no real harm has yet come to anyone who has come face to face with these entitie – yet – though victims have been left in a permanently anxious state. So what is going on? Are these demon in the guise of children? Alien hybrids? Or just children playing pranks? The way these children seem to appear and disappear seems to preclude the latter. Host of Darkness Radio, Dave Schrader, was contacted in 2011 by an elderly woman from Minnesota with details of a particularly frightening encounter. One night in the middle of summer, at about 10pm, after it had been raining non-stop for several days, she and her husband heard what sounded to be children laughing and playing outside in their front yard. The woman got a very uncomfortable feeling and wondered who would let their kids out at this time of night. Looking outside, she didn’t see any children. After retiring to bed, the woman woke at 2am to find a trio of young children standing at her bedside. They had pale skin and totally black eyes. She quickly squeezed her eyes shut and took a deep breath, expecting that the children would be gone once she opened them again – a dream. But they were still there. The woman screamed, awaking her husband. Flicking on the lights, the woman looked around the bedroom… but the children were gone. Whatever the implications of this growing phenomenon, we can be sure of one thing – it will not be giving up all of its secrets anytime soon. And just with ghosts, alien abductions, and bigfoot encounters, the run-ins with Black Eyed Kids will soon become a part of the paranormal lexicon. Welcome back to fantasy and Sci Fi author, M. Pax! M. Pax is known for her hit ‘Backworlds’ series of novels and the adult urban fantasy Hetty Locklear series. I am very pleased to have her back on Written Worlds! She has taken a fun look at the similarities between bloodsuckers and spacefarers – and also has a special announcement for her fans! Take it away, M. Pax! What fun to swap blogs with Mark Knight today. You’ll find him at mpaxauthor.com. We both have a love for things in the night. 3. An irresistible allure – Vampires use their eyes. Spaceships use tractor beams. I’m celebrating the audio release of The Backworlds. Currently available from Audible. You can win an audiobook by commenting at Samantha Geary’s blog on THIS POST before October 18, 2013. In the far future, humanity settles the stars, bioengineering its descendents to survive in a harsh universe. This is the first book in the science fiction series, The Backworlds. Try it for free. A space opera adventure. After the war with the Foreworlders, Backworlders scatter across the remaining planets. Competition is fierce, and pickings are scant. Scant enough that Craze’s father decides to improve his fortunes by destroying his son. He tells his only boy their moon isn’t big enough for them both and gives Craze a ticket for the next transport leaving the space dock. Treated worse than a stranger, like the scuzzbag of the galaxy, Craze is forced to flee his home. Cut off from everyone he knows with little money and no knowledge of the worlds beyond his, he must find away to forge a new life and make sure his father regrets this day. And stay tuned! Backworlds #4, Beyond the Edge will be available any hour now. Come chat on Twitter or FB. I spend a little time on Pinterest and Wattpad, too. Passing Time with Indie Author, Ellie Garratt! Today I am very happy to have indie author Ellie Garratt as an interviewee here on Written Worlds! Ellie Garratt is a science fiction and horror writer. A life-long addiction to reading science fiction and horror meant writing was the logical outlet for her passions. She is a reader, writer, blogger, Trekkie, and would happily die to be an extra in The Walking Dead. Her short stories have been published in anthologies and online. Passing Time: Nine Short Tales of the Strange and Macabre and Taking Time and Other Science Fiction Stories are now available on Kindle. Other eBook formats to follow soon. In early 2014, she will be launching a nine-part science fiction serial called The Third Dimension. Please tell us a about yourself. My name is Ellie Garratt. I’m from the United Kingdom, and live in the sometimes sunny South Devon. I’m also fortunate enough to live a five-minute walk from the sea. When I’m not writing, I love to read and go on long walks. Which project are you currently promoting? Due to technical issues with Amazon Kindle, I’ve just published second editions of my two short story collections – Passing Time: Nine Short Tales of the Strange and Macabre and Taking Time and Other Science Fiction Stories. I’m also in the process of making both these books available in other eBook formats. What genre do you generally write, and why did you choose it? I write horror and dark science fiction. I love to read and watch movies/television programmes in both genres, so it feels natural to write in both. What sparked your passion for books and the art of a good story? I was lucky to have parents who knew the importance of learning to read and write, and I devoured books as a child. The library was one of my favourite places. I was also a child who wouldn’t stop talking – my school reports can contest to that fact- and I loved telling stories, whether true or made up. Is there a particular book that changed or affected your life in a big way? There are two books. The first book I fell in love with was Black Beauty by Anna Sewell. I remember reading it over and over, even using a torch under the bed covers so that my parents thought I’d fallen asleep. It opened my eyes to how magical books can be. The second book is The Stand by Stephen King. It introduced me to the horror genre, and the idea of creating not just a story but a whole different world. Who is your author idol? That’s a tough one to answer. I would have to say Stephen King, but there are a few authors that have come close over the years. This year’s would be Hugh Howey. If you’ve not read his Wool trilogy, you must. When you’re writing a book or short story, do you plan it out meticulously or just write stream-of-consciousness? I usually have a rough idea of the start and how it may end, but I’m what’s known as a pantser – the story generally ends up writing itself. If I try to plot, my creativeness is stifled and I lose interest. I have to admit I’m a little OCD about my writing desk. It has to be tidy and organized, or I can’t write. My desk is in front of a big full length window, and I can see the river. It’s a great view. What is the best advice you can give to a new author? Read a lot. Then practice a lot. Finally, don’t expect the first draft to be perfect. It won’t be. That’s what editing is for. Thank you, Ellie, for a great interview! Nine dark fiction stories that may just give you nightmares. A man lives to regret Passing Time. A father will do anything to save his son in Expiration Date. An author finds out her worst nightmare is back in The Devil’s Song. A woman gets more than the claim fee when she takes out vampire insurance in Luna Black.In Dining in Hell, the Death Valley Diner becomes the wrong place to stop. A serial killer wants to add another file to his collection in The Vegas Screamer. In Eating Mr. Bone, an undertaker could meet an unfortunate end. A con man meets his first ghost in Land of the Free. And will truth finally be set free in The Letter? Back in January I interviewed fantasy artist David M Rabbitte, known for his Star Wars and Lord of the Rings art, as well as the magnificent background vistas seen in such animated films as Anastasia and Titan A.E. Mark Knight: David, you attended ComicCon in San Diego recently. This has not been your first ComicCon. How many years have you been attending and what is your routine as a guest artist? David Rabbitte: I have been attending Comic Con since 1996 as an attendee and I have been set up in Artists’ Alley since 2008. I would typically have a table where I would sell my printed art and do on site commissions upon request from attendees. Mark Knight: Part of your display was the artwork you completed for my upcoming teen novel, Solomon Grimm and the Well of Souls. Talk about some of the other book cover commissions you have done and the challenges they presented. David Rabbitte: I have worked with both independent authors and established publishers. The art direction varies with each publisher. My first professionally published book was for Marvel/Byron Preiss Books around 2001, when I was asked to produce three covers for the X-Men novel trilogy X-Men: The Legacy Quest. They went through a series of changes as instructed by the art director and Marvel, which sometimes included reworking the layout before going to color. On another occasion I did a cover piece for Muppet Peter Pan published by Boom! Studios, for which the art direction was pretty straight forward with almost no changes. I sent them a few sketches as ideas for the cover, and the picked the one they liked. I went on to color and it was approved. With independent authors the cover is of characters and a story which is invented by them, so I would ask for any information that would help in bringing their ideas to life. Occasionally they would provide me some photo reference to help me visualize what they are trying to convey. Mark Knight: You have done sketch cards for both the Star Wars and Lord of the Rings franchises, which have proven very popular with collectors. Why do you think these two fantasies continue to endure? David Rabbitte: Lord of the Rings is just an amazing story populated with wonderful characters. Tolkien didn’t just write a story – he created the world of Middle Earth in such depth you can almost believe it actually existed. Star Wars is so unlike other science fiction films because it really isn’t sci-fi at all, it’s a fairy tale set in space. It is a story which contains those ideas which stand the test of time. Up until the release of the original film, we had not seen a movie of this genre done in such a unique way that was also believable. Mark Knight: Lastly, what is your current project? David Rabbitte: I just finished working on some sketch cards for Topps for their Star Wars Galactic Files series 2. Right now I am working on another exciting card set for a different company, but I can’t share anything about it yet – keep an eye out for news on my website though, as I will be posting more about that in the coming months! We all know that zombie games and zombie movies are at the height of their popularity. Zombie novels? They are big too. I always wanted to write one, but I knew I had to do it differently. As well as the ‘Blood Family’ sequel, I am currently preparing my teen adventure novel, ‘Solomon Grimm and the Well of Souls‘ for publication. I wrote this supernatural tale in 2010, having been interested in exploring Irish folk tales and mythology, and setting a story in Galway, Ireland – a magical place where my parents now live and where my father was born. Popular author and mythologist Dr Bob Curran helped me research this book. The novel is intended for a slightly younger audience than Blood Family. Solomon is a 15-year-old British teen who gets himself cursed – and becomes undead. Now, he has to find a cure. Just as ‘Blood Family‘ was a new take on vampire lore, this is my own twist on zombie mythology. Plenty of magic, strange creatures, and rollicking adventure here… plus a trip to the Underworld. ‘Solomon Grimm and the Well of Souls’ is due for Amazon release end March 2014. Here for you is the textless cover artwork by noted fantasy artist David M. Rabbitte along with the back cover blurb, which should set the stage for you! Solomon Grimm is a pretty average teen. He goes to school. He hangs out with friends. He plays guitar in a band. There’s a lot to look forward to—new friends, playing gigs around the country, and hopefully a special girl to become part of his life. While on Easter vacation in Ireland, Solomon falls foul of a gypsy woman. He is cursed and joins the marbh bheo—the living dead. Never to breathe, or grow, or love, and now able to see every supernatural being once invisible to him, his fate is to wander the fog-shrouded hills of Shanvarra for eternity… never to return home. Solomon tracks down the woman who cursed him. She makes a deal with him. If he will bring her abducted daughter, Tara Danan, back to her, she will reverse the spell and restore Solomon to his old self. Solomon now has a terrifying task ahead of him. For Tara has been taken to the Underworld, a place reachable only through the forbidden Well of Souls. FIRST 8 CHAPTERS AVAILABLE TO READ FOR FREE NOW ON WATTPAD! Tara Fox Hall’s writing credits include nonfiction, horror, suspense, action-adventure, erotica, and contemporary and historical paranormal romance. She is the author of the paranormal action-adventure Lash series and the vampire romantic suspense Promise Me series. Tara divides her free time unequally between writing novels and short stories, chainsawing firewood, caring for stray animals, sewing cat and dog beds for donation to animal shelters, and target practice. Tara Fox Hall is an OSHA-certified safety and health inspector at a metal fabrication shop in upstate New York. She received her bachelor’s degree in mathematics with a double minor in chemistry and biology from Binghamton University. Her writing credits include nonfiction short stories, flash, short and novella-length horror stories, and contemporary and historical paranormal romance. Her horror stories have appeared in Deadman’s Tome, Flashes in the Dark, Ghastly Door, The Halloween Alliance, Black Petals, SNM Horror Magazine, Microhorror, Dark Eclipse, Cemetery Moon, and various anthologies, including the recently published charity works Fear (Vol. 1) and Shifters. She also coauthored the essay “The Allure of the Serial Killer,” published in Serial Killers – Philosophy for Everyone: Being and Killing (Wiley-Blackwell, 2010). She is the author of the paranormal fantasy Lash series and the paranormal romantic drama Promise Me series. Tara divides her free time unequally between writing novels and short stories, chainsawing firewood, caring for stray animals, sewing cat and dog beds for donation to animal shelters, and target practice. Tara Fox Hall talks about her latest book: “My latest book is Taken for His Own, the fourth instalment in my Promise Me Series. It takes up where the third book left off. Sar had done her best to rebuild her life when her fiancé Theo went missing. She’s partnered with her former vampire lover Danial to raise Theo’s daughter Elle (Elle’s natural mother is dead from childbirth complications). She’s also had a child of her own with Danial, Theoron, and is trying to come to terms with her inevitable turning from human to vampire. My blog tour for Blood Family – Quest for the Vampire Key has come to an end, but it goes out with a bang! 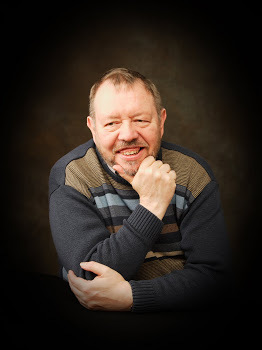 Today I am very happy and honoured to be featured on OwenSage.com – the website of YA author, Roy Huff! Roy has written a spectacular interdimensional tale – Everville. Owen Sage is the emblematic college freshman at Easton Falls University. With all the worries about his first year in college, he was not prepared for what would happen next. His way of life was flipped upside down when he mysteriously crossed into another dimension, into the beautiful land of Everville. His excitement was abruptly halted when he discovered that there was a darkness forged against both the natural world, which he knew well, and the new land which he discovered, Everville. He must devise a plan to save both worlds while joining forces with the race of Fron and The Keepers, whom both harbor hidden secrets he must learn in order to gain power over the evil that dwells in The Other In Between. With a race against time to save both worlds, his short time at Easton Falls did not quite prepare him for the evil, dark forces he must fight in order to conquer The Other In Between. Roy Huff is the author of Amazon’s #1 international bestselling epic fantasy novel, Everville: The First Pillar. 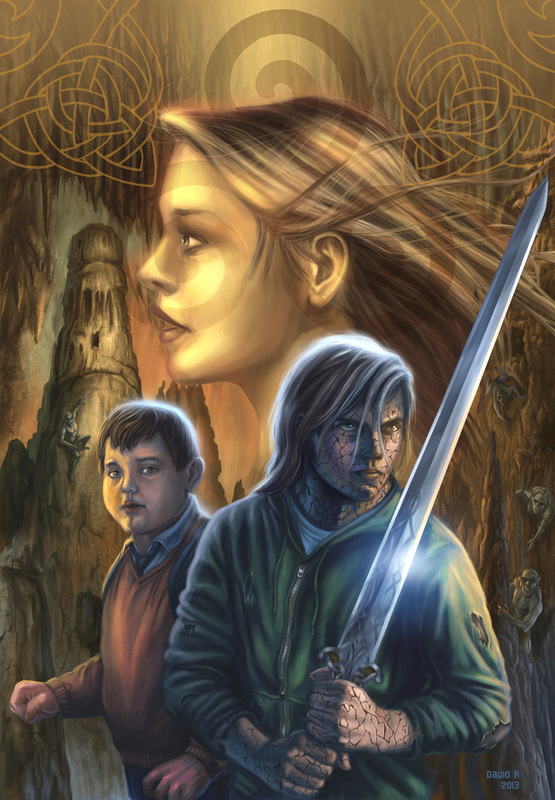 This is the first installment in the remarkable Everville series which combines elements of epic fantasy and young adult fiction in a form that nearly anyone will enjoy reading, young or old. He is a man of many interests including but not limited to science, traveling, movies, the outdoors, and of course writing teen and young adult fantasy fiction. He holds five degrees in four separate disciplines including liberal arts, history, secondary science education, and geoscience. Roy Huff’s background includes work in art, history, education, business, real-estate, economics, geoscience, and satellite meteorology. He was born on the East Coast but has spent more than half his life in Hawaii, where he currently resides and writes his epic fantasy sagas. Free on Kindle from May 13th to 17th. Celebrate! My good friend, author Ellie Garratt, is giving away her superbly scary short story collection Passing Time for free from May 13th to the 17th. Tell your friends, enjoy a free copy, and leave her a great review on Amazon – make this great writer very happy! A man lives to regret Passing Time. A father will do anything to save his son in Expiration Date. An author finds out her worst nightmare is back in The Devil’s Song. A woman gets more than the claim fee when she takes out vampire insurance in Luna Black. In Dining in Hell, the Death Valley Diner becomes the wrong place to stop. A serial killer wants to add another file to his collection in The Vegas Screamer. In Eating Mr. Bone, an undertaker could meet an unfortunate end. A con man meets his first ghost in Land of the Free. And will truth finally be set free in The Letter? A life-long addiction to reading science fiction and horror, meant writing was the logical outlet for Ellie Garratt’s passions. She is a reader, writer, blogger, Trekkie, and would happily die to be an extra in The Walking Dead. Her short stories have been published in anthologies and online. Passing Time is her first eBook collection and contains nine previously published stories. Her science fiction collection Taking Time will be published later this year. A Message From The Vampire Queen! The Vampire Queen herself has descended from out of the gray and stormy clouds, alighting upon your roof, waiting to ensnare you in your mesmerizing stare! 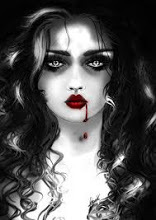 She is also known – in another life – as my good friend Jodie Pierce, author of the popular Vampire Queen series of books ( The Vampire Queen, Demise of the Vampire Queen, Condemned by a Vampire, and The Vampire Chronicles) and other tales with bite. Jodie Pierce lives with her hubby, John in Cleveland, Ohio along with four beautiful step-children. She has been writing since high school where here English teacher took an interest in her and started mentoring her. Jodie has had a fascination with vampires since they were introduced to her as a child and has had a long history with them. It wasn’t until she started reading the Anne Rice vampire books that she was truly inspired to write about them. Jodie was an exchange student in Brasil in high school so you can find some of her experiences from there in her stories. Many of her stories have historical or researched facts as she also enjoys research and learning about new places. She has published five short novels (Eternal Press), a short story in “Midnight Thirst 2“, an anthology (Melange Books), has two self-published books and has several short stories that she still works on. She has a new charity anthology with various authors where all the proceeds go to St. Jude’s Children’s Research Hospital due out Halloween 2013. She’s always busy with the next great vampire story as her mind is non-stop and even plagues her dreams. I just wanted to give you an update on what I’m working on. It’s a collaborative effort with various other authors and myself. Over a year ago I decided I wanted to write a book and donate all proceeds to a charity. I’d seen other authors do it and thought it would be a great idea. The commercial is on TV for St. Jude’s, the ones with the celebrities, always seemed to touch my heart, thus the book idea was born. All the benefits of “In Vein” will go to St. Jude’s Children’s Research Hospital. It’s a vampire anthology, a series of vampire mini-stories by so many great authors. I have already read a couple of the stories and they are turning out great! I’m excited about putting this book together which will be available on Amazon, B&N and Smashwords. I know my own story, though vampire-related, was an emotional one. I wrote about a vampire who helps Cancer patients with his ‘gift’ after living through so much loss in his own life due to the illness. It’s called Spontaneous Remission which is my reference to the ‘gift’ giving of the vampire to the Cancer patients and their transformation. I’m still inviting people who would like to have their short vampire story told in my story to go to my website (www.vampiricallyrical.blogspot.com) and leave me a comment stating your intent and/or ask questions about the book. Submissions are not due until August 1st, 2013. The stories don’t have to be written by accomplished authors. If there’s someone out there who just wants to try out their hand at a vampire short story are welcome as well. The book will be released on Halloween, October 31, 2013. Interview with Dr Bob Curran – Paranormal scholar! Bob has traveled many parts of the world, exploring other people’s cultures and traditions. Author Bob Curren lives in Ireland, not far from the famous Giant’s Causeway. Today I am very honoured to have Dr Bob Curran appear on Written Worlds. Many of you will know Bob from his many books, especially those that explore the origins of all things supernatural. Bob lives in Derry, Northern Ireland, not far from the world-famous natural basalt land feature known as the Giant’s Causeway. Bob has been a frequent guest on Coast to Coast am radio and numerous other shows. His books include American Vampires, Man-Made Monsters, and The World’s Creepiest Places. First of all, Bob, I would like to thank you for appearing on Mark Knight’s Written Worlds. You certainly know your supernatural stuff, and have quite a few books out there on the subject. Bob, you are a prolific writer. Your books about the origins of supernatural beings have been very popular. What compelled you to write about vampires, faeries, and werewolves? I grew up in a largely rural mountain community in Northern Ireland during the late 1940s/early 1950s in which tradition and superstition often played a significant part in everyday life. For example, when I was a child there was a widespread belief in both fairies and ghosts – it was believed for instance that fairies could spirit away children or could cause illness in both livestock and in humans – and this to some extent shaped the world around us. At certain times of the year, the dead were believed to walk the lonely roads around my home and few would venture out after a certain time of day. There were too, old earthworks and standing stones all about – some with a particularly evil reputation and this determined, as children, where we could go and play. I remember when I was very young, hearing of a girl in our area who had simply vanished near an old stone – there was a hunt for her for several days but she was never found, goodness knows what had actually happened to her – and being told that the fairies or sheehogues had taken her and I was not to visit that site or the same would happen to me. I was raised mainly by my maternal grandmother and grandfather and it was from him that I got my love of storytelling. As a young man, he had been a labourer in many parts of the North and he had a fund of stories that he could draw on – many concerning ghosts, witchcraft and the supernatural. Such beliefs determined both my community and my grandfather as an individual and so you could say that it also formed part of the culture that I grew up with and that it became ingrained within me. Later, I began to travel a bit and I began to see how culture and belief systems were replicated in various ways in other parts of the world. Each culture seemed to have variants of fairies, werecreatures, walking dead etc. which somehow underpinned and to some extent explained the world around it. So I began to write about it in my books, I suppose as a way in which to explore my own past and to understand what my community was like when I was growing up. I suppose the question for me is not whether or not these being actually exist – they may do, they may not – but rather why we would want to believe in them and what they tell us about ourselves. And what they tell me about myself. You have appeared on Coast to Coast and other radio shows, and are always a popular guest. What do people ask you about the most when they phone in to a radio show or podcast? In a sense this question continues on from the last. Not only do I get a host of e-mails with questions and comments – some through the publishers and some directly to me. A good number of them ask me or want to tell me about experiences which the caller/writer has had. In these situations people are trying to make sense of the world for themselves and to determine their place in, in relation to other things. I suppose speaking with a psychologist’s hat on, some people are seeking reassurance that they are not “bizarre” or mad; others might be seeking a rational explanation for an event which they can’t really explain for themselves, others still want to know how what I write fits in with other things that they have read pr are thinking about. Other questioners want to ask me about my religious beliefs and how what I write fits in with them. I have received communications from Born Again Christians who tell me that I shouldn’t be dealing in such things, even to explain them to myself. It is of course their right to question me in this as it frames up their world for them and gives them some form of certainty. Mind you, I’ve been already denounced here in Northern Ireland and in print as “the physical embodiment of the Antichrist” by a leading minister.So you now know who you’re talking to! But I get all sorts of questions on all sots of topics and no matter how strange I always try to answer them as best I can. Vampires seem to be perennially popular. You have written three books about them. Do you think that they could actually exist? Vampires are indeed extremely popular and I think they have changed a lot over the years. For instance, when I was growing up, the vampire was a tall and saturnine East European nobleman who looked something like Christopher Lee who lived in a ruined castle somewhere in the Carpathian Mountains. Now vampires can be some angst-ridden teenager who attends a local high-school somewhere near you. In between these are languid aristocrats who inhabit some gloomy area of New Orleans. A) What happens to us after death? Death is of course the last great mystery. Nobody has ever come back to give us a detailed account of what happens beyond the grave so we can speculate. B) What would it be like to live forever? Would there be some sort of price it we did? I think that the idea of vampires addresses some of these questions in part – there are of course a number of other elements in the vampire motif such as eroticism, eternal youth etc. Much of our perceptions of the creature are of course determined by the wider popular culture, through books, television and films. As I said earlier, it was the vampire films of Christopher Lee which determined how vampires “looked” when I was growing up but if you go back earlier you’ll see the horrible creature in black and white films like Nosferatu as portrayed by Maximilian Shrek. Nowadays, in our celebrity based culture, the vampire has to look something like a rock star. Therefore, here in the West the idea of the vampire emerges out of the dominant culture and often how we see ourselves. In other cultures it emerges out of the fears and nightmares of the people – the old woman living alone; the person who is slightly at variance with his/her community, those who have different ways. These get absorbed into the wider myth. So in a sense it is possible to say that vampires do exist – but only because we create them. Bob, you have compiled a great deal of information about folklore, and have travelled to many countries. What is the most bizarre myth or legend you have come across? In a sense, the folklore of any community or country is shaped by the perceptions of the people. This is why I’ve argued that some of these old tales are just as important as actual historical documentation in that they tell us how our ancestors—and their culture—have framed up the world for themselves. And each community frames that world up in a slightly different way. So the culture of say the Middle East is a bit different from that of Western Europe but essentially they address the same problems because no matter where we live, human experience is roughly the same for us all. We’re born, we love, we eat, we sleep, we die – no matter who we are or what status or culture we belong to, the broad experience of being human is roughly the same. But there are idiosyncrasies in every community/culture just as there are in human beings, that’s what makes the traditions and folklore of different parts of the world distinctive in their own right. Legends too serve to explain and to provide a context for experience and each one is distinctive. We only consider them to be bizarre, I suppose, if they don’t conform to our own interpretations of the world. You were of great help to me when I was writing my Young Adult novel, Solomon Grimm and the Well of Souls, which is out later this year. 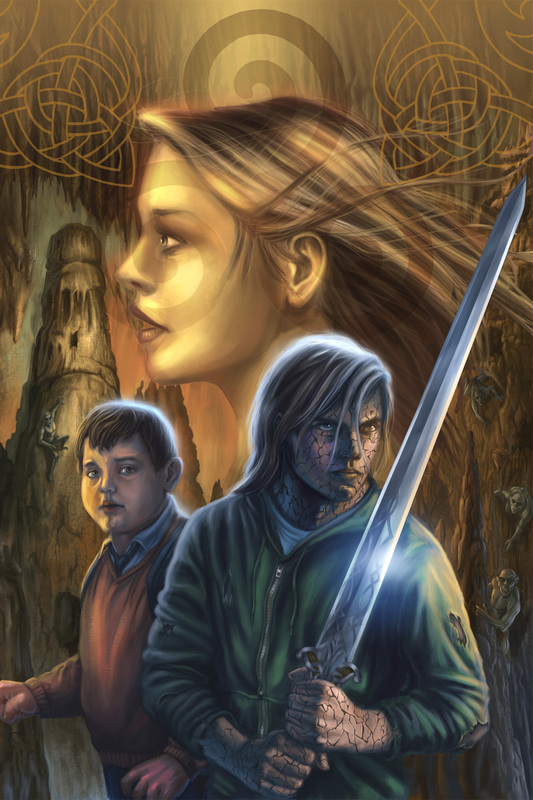 The book is set mainly in Ireland and deals with many of the weird and wonderful supernatural creatures known to Irish folklore – the marbh bheo, the Dullahan, and sheehogues. There seems to be more supernatural folklore in Ireland than anywhere else, yet people really only know about the banshee. Why do you think this is? The Irish are great storytellers and much of their tradition —and culture—in an oral one which has, up until recently, been passed down across the generations. My own grandfather for instance was a known seanchie —a man of lore or a storyteller who kept old stories and local knowledge alive in the area around our home. Over my lifetime, such tradition has more or less died out, even in country places, largely thanks to television and other media. So it’s no real surprise that some of the beings and entities have in many ways passed into obscurity. Another point is that although such beings are weird and wonderful they were largely localised and were possibly the product of a localised and tightly knit community. There were of course more widely recognised beings such as —as you say—the banshee or the leprechaun which often travelled with the Irish people, although there were localised variants of each. The leprechaun is well-known I think because of Irish marketing —he seems to appear on everything Irish. And of course the banshee —which also appears in various localised forms—has always been associated with the Irish and in particular the Irish abroad. However, other entities —the Dullahan, the Far Gorta and such were more localised in their aspect. Bob, you are also involved with your local community in Derry, Northern Ireland. Tell us a little bit about the causes you support, and any important issues that visitors to this blog may be interested to hear about. The community work is another aspect of my life and is one that I was involved with even before I started writing. I came into it through community education which more or less developed to encompass other social and community problems. I am now working in a part-time capacity for the Office of the First and Deputy First Minister of Northern Ireland. That’s not as grand as it sounds of course but there’s quite a bit of work involved. Here in Northern Ireland we’ve come through between thirty or forty years of conflict. Although we now have what might be described as a “Peace Process” in operation things are by no means over. Scars have been left on many communities —and on individual lives—by conflict; despite the relative peace, paramilitaries still hold a great deal of sway in certain areas and there are still deep sensitivities amongst many people. A good many of the communities have been left devastated, both in a financial, resource and personal sense by the years of conflict. Part of my job is to go into these communities from which the paramilitaries have more or less withdrawn and help them to rebuild their sense of identity, their confidence and their financial resources. Some of this is done through education – the development of local history programmes for instance —some of it is done through organising local events; some of it is done by working on community projects. Some of my work is done on a cross-community level by organising shared events between Catholics, Protestants and other nationalities —for example in some areas we have large Polish, Chinese and Indian populations who sometimes find it difficult to integrate into already existing communities. I help them set up bodies which will aid that. And, as funding for community programmes gets tighter and tighter, I have to encourage small groups in certain areas to work together – sometimes Catholic and Protestant, sometimes Northern Irish people and other nationalities; sometimes places here there have been local tensions. It’s not always easy. For instance, I’m working with a small village in North Antrim which has only one street but four community groups operating there, none of which speak to the other. And they’re all Protestant, though varying shades of Protestant perspectives. So a lot of my work comprises educator, counsellor, peacemaker and government official – often with varying degrees of success. And of course in some of the areas I work in —particularly the large estates on the edges of towns—the paramilitaries are still pretty much in control and I have to negotiate setting up community programmes with them. On some occasions I’ve been sitting in a room negotiating with men wearing shoulder holsters and on a couple of times a loaded firearm has been set on a table in front of me. It can get a bit scary at times. But of course, it’s not all like that —just a few instances. However, things can still be a bit tense in Northern Ireland. The recent flag protests have created problems in some areas and recently I suffered from bruised ribs when I was hit by some concrete thrown by a protestor at a venue which I was doing a presentation. But these things are few and far between and are part of the job. However, the tensions are still very high in some areas – mainly stirred up by paramilitary elements – and so 2013 has really hit the ground running for me in that respect. I also chair a couple of community programmes on some of the large and generally neglected estates across Northern Ireland – one, for instance, to help young mothers get qualifications by providing education on their estate and crèche facilities for their children. I was one of a team who set that up from scratch and it’s now running very well. I step down as chair but remain involved next week. On an individual level I run a couple of weekly trauma programmes in a nearby town —this was something I set up at the end of last year and which has been a success. This is mainly for the unsung victims of the conflict —people who have had relatives shot, blown up or who have been affected by the conflict in some way. Sometimes people have had to flee the areas they were brought up in and are just feeling lonely where they’ve had to settle. I’ll work with them all. It’s a small contribution but I like to think that I’m doing a little bit to make life more tolerable in Northern Ireland. Although we have a so-called peace process it’s far from perfect and there’s still a great deal to do it we’re to move forward. Finally, what is the subject of your next supernatural book? Because of the community issues – and they have got worse over the last four or five months largely because of the flag protests and other elements – I’ve not had as much time to write as I would like. Still having a think about some major books and discussing them with publishers.However, there are a couple of illustrated books coming up for which I’ve done/am doing the text. One is the Carnival of Dark Dreams and the other is The Witch Hunter’s Handbook. Also another project which I don’t want to say too much about as nothing’s been finalised as yet. But keep watching this space! Vampires are much more complex creatures than Buffy The Vampire Slayer, Twilight, True Blood, or scores of other movies and television shows would have you believe. Even in America.